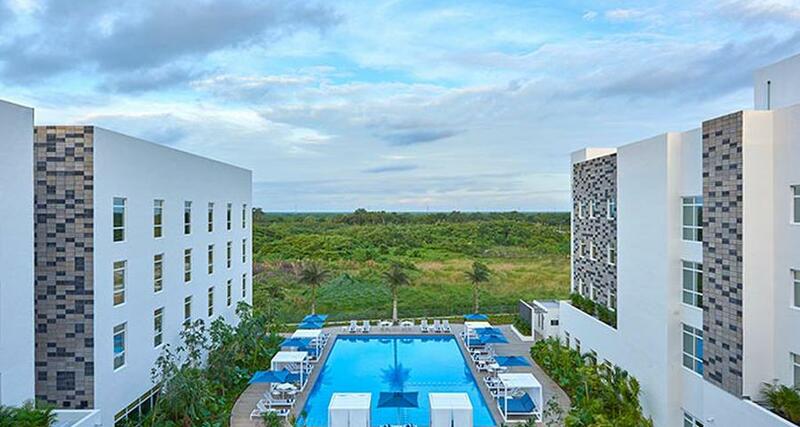 City Express Suites Cancun Aeropuerto Riviera is a 4* hotel located in Cancun-Airport Area, Mexico. It features 63 rooms and swimming pools. City Express Suites Cancun Aeropuerto Riviera is ideal for travelers who want an adequate environment to rest and all the facilities to work. The hotel has a convenient location, a short distance from the federal highway that leads to Puerto Morelos, which offers easy access to downtown and the Hotel Zone of Cancun. The property has wireless internet, a business center, ballrooms and breakfast. In addition, it offers a swimming pool, gym, a parking lot and laundry. Book your next visit now!